Nearly 2,000 Puerto Rican Hurricane Survivors Face Eviction | Colorlines A federal judge will decide if Puerto Ricans forced to evacuate their homes following Hurricane Maria will be evicted from their hotels and motels, as FEMA seeks to end the Transitional Sheltering Assistance program. 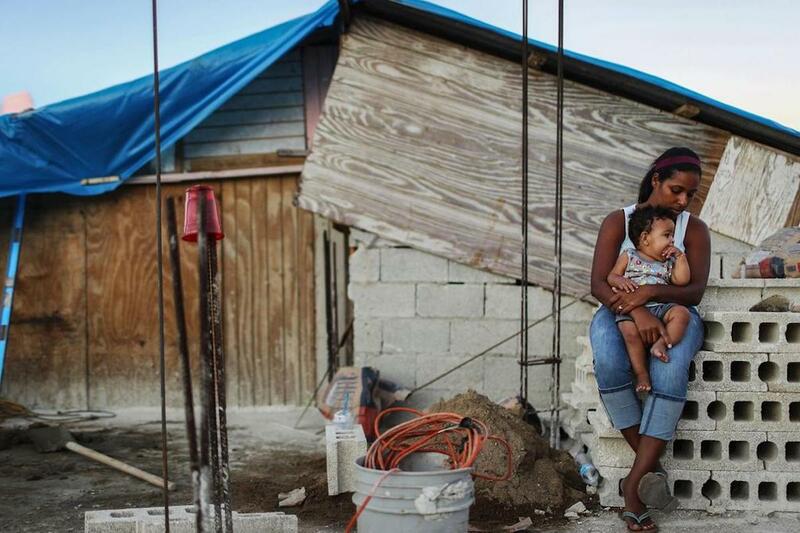 Today (July 2), a federal judge will decide if approximately 1,800 Puerto Ricans forced to evacuate their homes following Hurricane Maria will be evicted from their hotels and motels after 10 months. A man looked for valuables in the damaged house of a relative in Guayama. CARLOS GARCIA RAWLINS/REUTERS. A destroyed home in Toa Baja, west of San Juan, Puerto Rico. RICARDO ARDUENGO/AGENCE FRANCE-PRESSE/GETTY IMAGES. After the storm hit Puerto Rico on September 20—completely knocking out the electrical grid, disrupting water service for half of the island and causing nearly 5,000 deaths—thousands of residents moved to the United States mainland. The majority relocated to Florida and New York. Under a program called Transitional Sheltering Assistance (TSA) that is funded by the Federal Emergency Management Assoccation (FEMA), many were able to use vouchers to live in hotels and motels. FEMA announced last week that it was ending TSA for survivors of Maria, and that they must move out of their housing by last Saturday (June 30).